An investigation has been launched after reports of a burglary in the Crossowen Gardens area of Clogher, according to police. It is thought the incident, which is said to have resulted in substantial water damage and damage to bricks, happened some time between 8.20am and 3.40pm pm on December 9. The PSNI’s Sgt. Daniel said: “It appears that access to one property was gained by entering a neighbouring house. 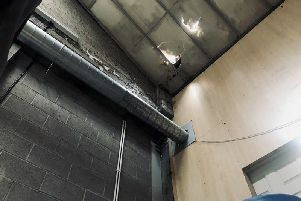 “Damage was to block work and substantial water damage was caused and copper piping had been cut.